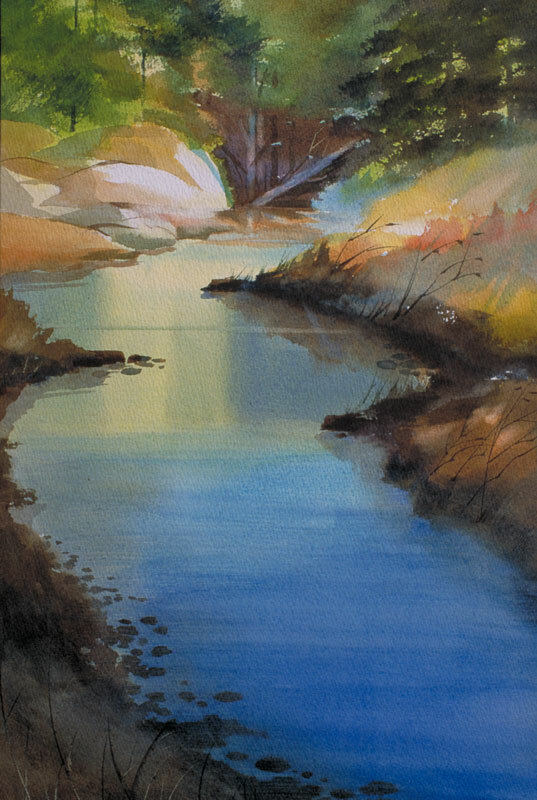 Thomas Freeman Original Watercolor Painting: "Beatrice's Favorite Place"
This is along Butano Creek amidst the Redwood forest. I loved to take my mother, Beatrice, here to walk along the Creek Trail. The redwoods are magnificent, and smell so fragrant. I show the river flowing toward you; it is shadowed and bluer in the foreground. This helps direct your eye up to the more colorful areas: the river reflections and the painting's center of interest.